This was the first event in Richmond California. The weather was very nice and we had a nice turnout of approximately 45 individuals. Over 25 individuals test drove. 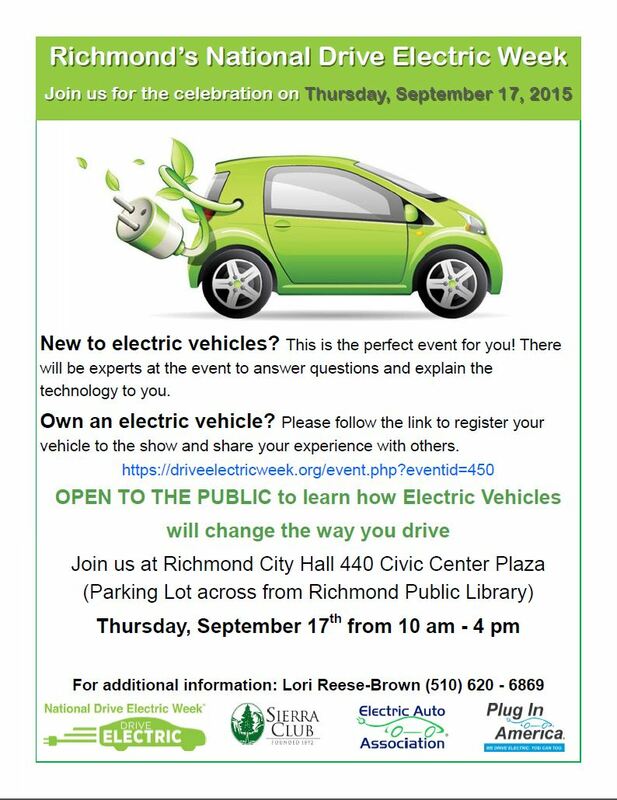 Our Richmond City Manager, City Council the Mayors office, City staff and residents all attended. Next year the City of Richmond plan to team with the cities of Berleley, San Pablo, and El Cerrito for an even larger event. 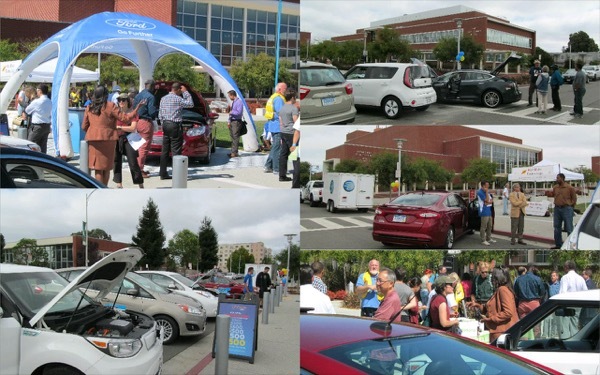 Registered attendees report 145,351 electric miles driven.